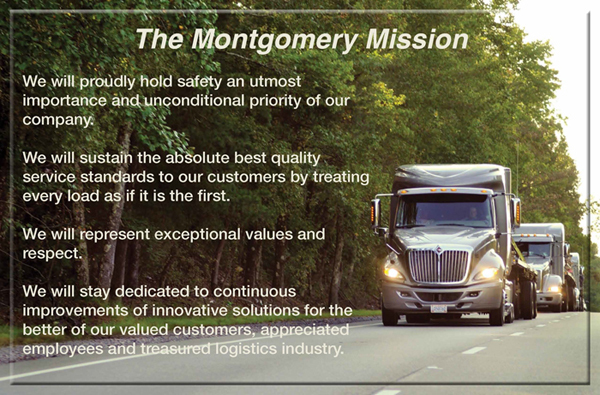 We will proudly hold safety an utmost importance and unconditional priority of our company. We will sustain the absolute best quality service standards to our customers by treating every load as if it is the first. We will represent exceptional values and respect. We will stay dedicated to continuous improvement of innovative solutions for the better of our valued customers, appreciated employees, and treasured logistics industry.